Orégano Percussion a Toronto-based group, performs music from around the world. Combining different styles from Latin to Caribbean music with a vast array of percussion instruments. At times a mix of songwriting, folk, pop and percussion chamber music with world/jazz. Their spicy touch focuses on new and traditional tunes from around the world. Alejandro Céspedes and Michelle Colton earned their graduate degrees from the University of Toronto. 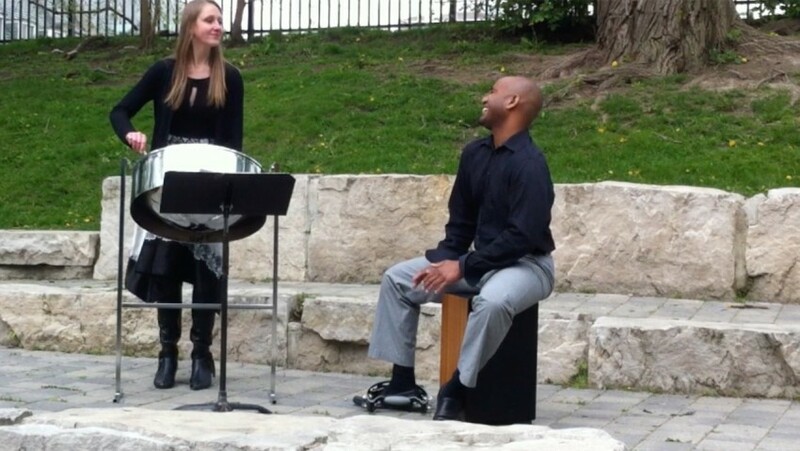 Mr. Céspedes and Ms. Colton are artists and endorsers of Pearl Percussion & Adams Musical Instruments; Dream Cymbals & Gongs; and Humes & Berg. They both have an active freelance and teaching career in Toronto. A combination of different styles from Latin to Caribbean music with a vast array of percussion instruments. At times a mix of songwriting pop and percussion chamber music with world/jazz.